Teknor Apex will supply Medalist compound and colour concentrates for use on tubing line featuring ‘Thermatic Extruder from Davis-Standard. Global extrusion leader Davis-Standar will use a Medalist medical thermoplastic elastomer (TPE) from Teknor Apex Company to produce tubing in a live demonstration of Industry 4.0 technology at NPE2018. The demonstration will take place at the Davis-Standard exhibit (Booth W5947). Teknor Apex will also exhibit at NPE2018 (Booth S22045). 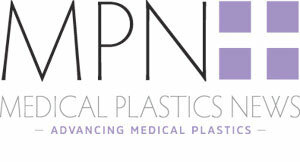 Davis-Standard will process the tubing from Medalist MD-12382 TPE, a translucent, kink-resistant, gamma-stable compound, one of a series of translucent Medalist TPEs offered as an alternative to silicones for applications involving the transfer of drugs, proteins, bodily fluids, or blood. Teknor Apex will also supply translucent color concentrates for use with the compound. The production line at the Davis-Standard booth will feature the company’s Thermatic extruder design and the DS eVUE II controller. According to Davis-Standard, the tubing line will be a “live demonstration of IIoT (Industrial Internet of Things), also known as Industry 4.0 technology, showing the benefits of preventative and predictive maintenance as part of an international trend toward the ‘smart factory."